We developed and facilitated a process for a bilateral exploration of alternative management strategies for Coho salmon stocks managed under the Pacific Salmon Treaty (PST). This structured exploration improved the collective understanding of the strengths and weaknesses of different strategies and provided a common foundation to inform the bilateral negotiations of the new Coho chapter under the PST. 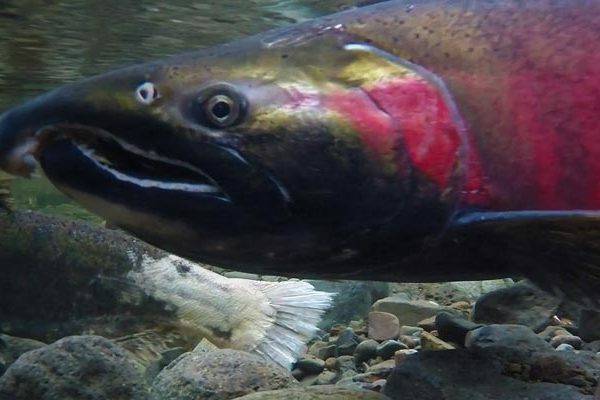 As part of the broader US-Canada Pacific Salmon Treaty renewal process, the Coho salmon chapter needed to be renegotiated by the end of 2017. Concerns had been raised within both Parties regarding their current technical capacity to meet the assessment requirements of the existing Chapter and the need to explore potential strategies to address the challenges faced by both Parties in fully implementing it. In support of the renegotiation process, and in response to concerns with the existing Chapter, the Southern Panel commissioned a series of workshops with the Coho Working Group (CoWG) to investigate alternative management scenarios for the Pacific Salmon Treaty Coho management regime. ESSA facilitated the development and implementation of the process to achieve these outcomes. We worked with the co-chairs of the Southern Panel and the co-chairs of the Coho Technical Committee to develop a structured framework for defining and describing alternative, contrasting management strategies, and a process for qualitatively evaluating the strengths and weaknesses of these alternatives through facilitated deliberations at the final workshop. The intended benefits of the workshops to the Southern Panel and CoWG were: 1) to build a common understanding of trade-offs in the predicted performance among the alternative management strategies, so the Parties could subsequently consider the type of strategy (and components) to develop in more detail as they prepare for and engage in the renegotiations; and, 2) to work through the process bilaterally so as to provide both Parties with a common information base and experience engaging in constructive discussions about trade-offs among alternatives (including the current Chapter) prior to engaging in renegotiation. The Coho Technical Committee (CoTC) developed an illustrative set of alternative management strategies that, in addition to the management approach set out by the current Chapter, providing contrasting examples for the CoWG to consider and explore to better understand trade-offs between alternative approaches. Through the facilitated workshop process, the CoWG qualitatively evaluated the strengths, weaknesses and uncertainties associated with each of the example strategies with respect to the objectives of the PST and the Coho chapter. The CoWG then “unpacked” the example strategies, assessing the relative merits associated with components of each strategy that could be used to modify the existing examples or develop new alternatives. We helped the CoWG identify several major issues of high value for further development and exploration following the workshop. For each of these issues, we helped the CoWG define the issue and its relevance, then identify and sequence concrete steps that could be implemented by the CoWG and CoTC subsequent to the workshop. This project provided the CoWG with a valuable foundation for their negotiations of the new Chapter for Coho management.